Smooth glass surface provides plenty of area for embellishing. Crystal clear glass allows you to see images inside without distortion. 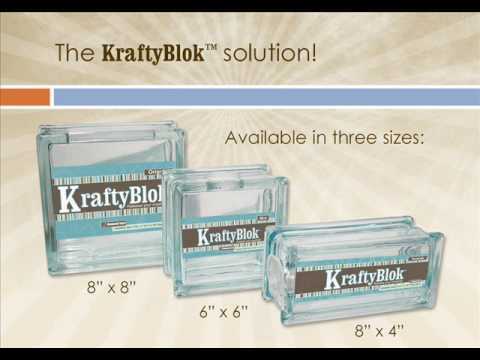 A mini version of the original KraftyBlok. 5.50 in x 5.50 in x 3.75 in smooth square glass block for embellishing.The removable stopper and opening allows you to transform them into a bank, decorative lighting, bookends or a beautiful vase, all you need is a little creativity. Scrap, decoupage, mosaic or collage, whatever your creative outlet, the end result will surely be a truly unique home decor item. DUE TO ITEM WEIGHT, BACKORDERS ON THIS PRODUCT WILL NOT BE FILLED.